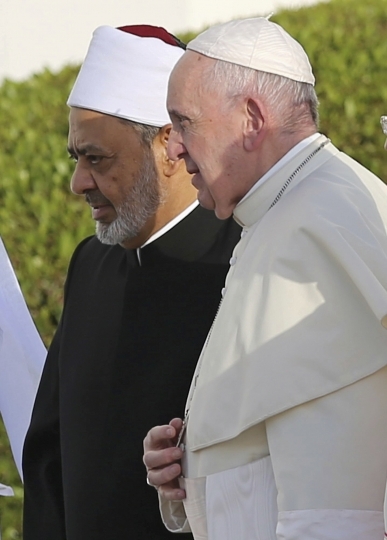 Pope Francis and the grand imam of Egypt's Al-Azhar, the highest seat of learning in Sunni Islam, have signed a statement with their hopes for world peace and human understanding. 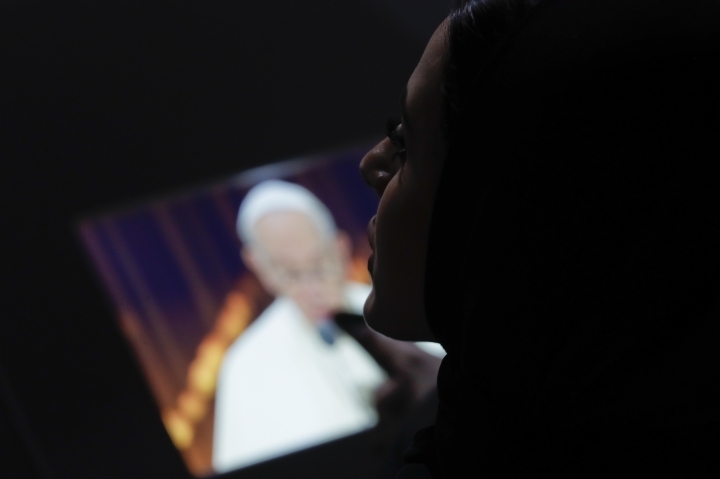 The two signed the document Monday night during the pope's visit to the United Arab Emirates. 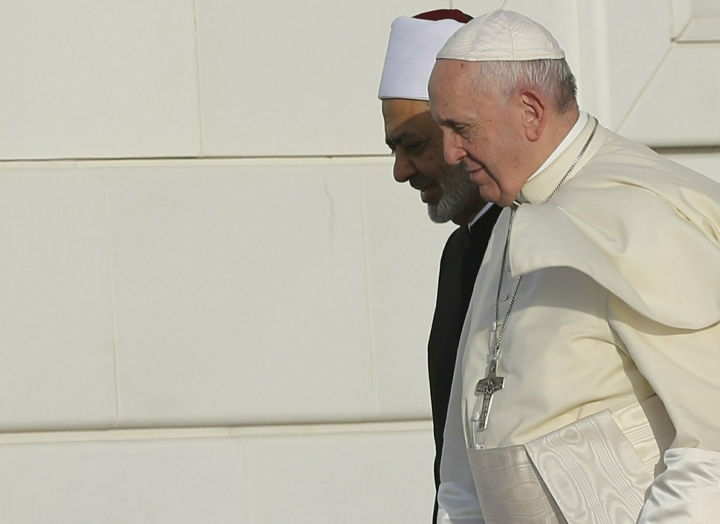 It is the first papal visit ever to the Arabian Peninsula, the birthplace of Islam. The document describes itself as being in the name of "all victims of wars, persecution and injustice; . and those tortured in any part of the world, without distinction." It also decried modern "signs of a 'third world war being fought piecemeal.'" 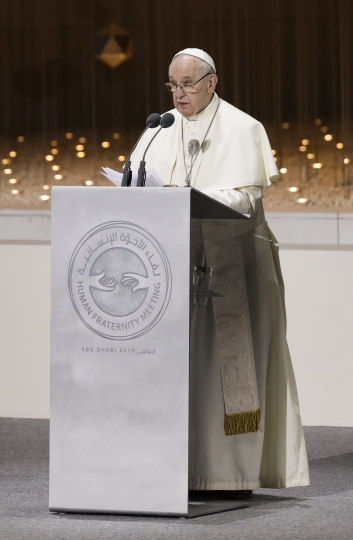 The document says: "We resolutely declare that religions must never incite war, hateful attitudes, hostility and extremism, nor must they incite violence or the shedding of blood." The statement also says countries have a duty to establish a concept of "full citizenship." 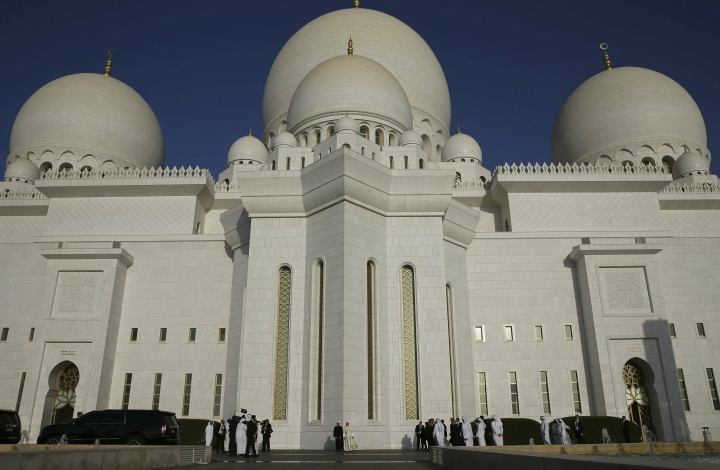 The UAE relies heavily on foreign laborers who have no path to naturalization. 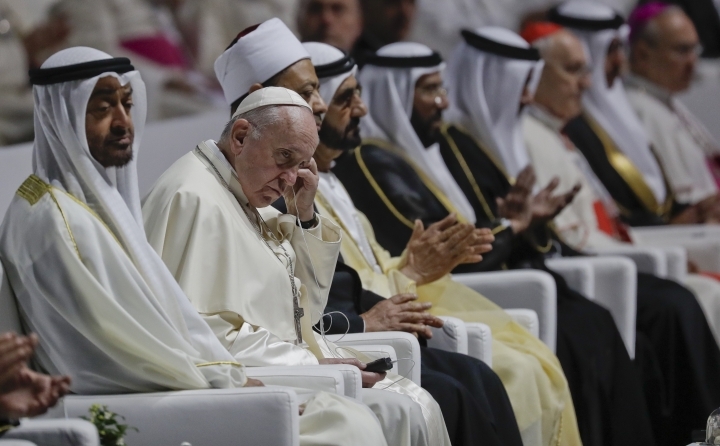 The head of Sunni Islam's highest seat of learning has told an audience that includes Pope Francis and hundreds of other religious figures from around the world that Islam is a religion of peace that values human life. 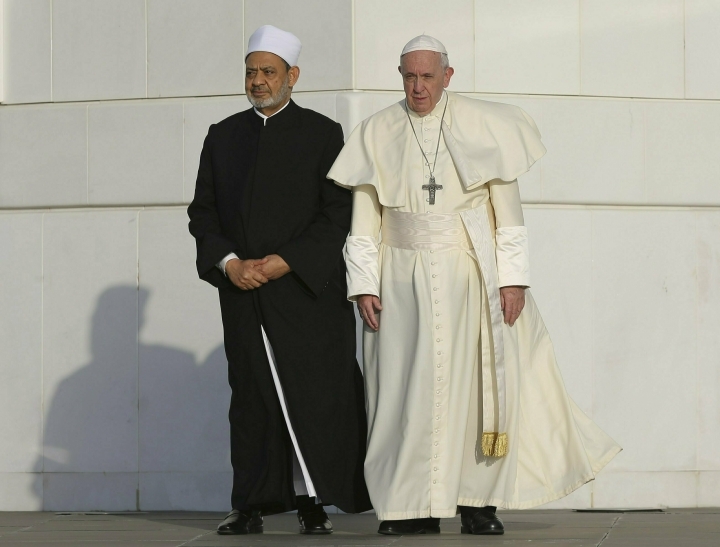 At an event Monday evening during the first-ever papal visit to the Gulf, Sheikh Ahmed el-Tayeb, the head of Al-Azhar, quoted numerous Quranic verses about the value of life, including one that says: "Whoever kills a person it is as though he has killed all mankind. And whoever saves a life, it is as though he had saved all mankind." The sheikh said that after the 9/11 attacks the media made Islam look like a "bloodthirsty" religion and that Muslims paid a heavy price for the acts of a few. 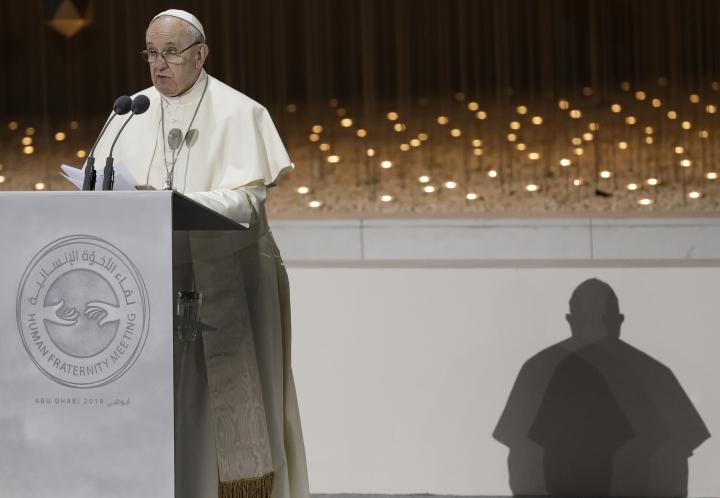 Francis concluded his landmark speech to an interfaith gathering on Monday by saying: "God is with those who seek peace. From heaven he blesses every step which, on this path, is accomplished on earth." 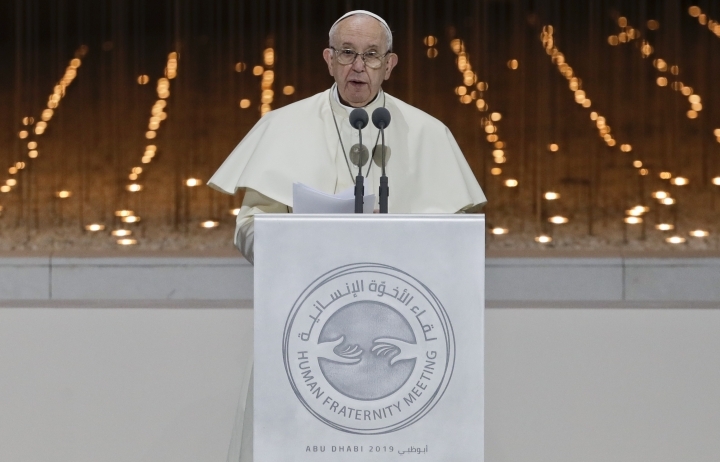 Speaking in Italian at the Abu Dhabi Founder's Memorial, Francis cited the conflicts in Yemen, Syria, Iraq and Libya in calling for leaders to resist the "floods of violence and the desertification of altruism." The UAE is involved in the conflicts in Yemen, Syria and Libya. 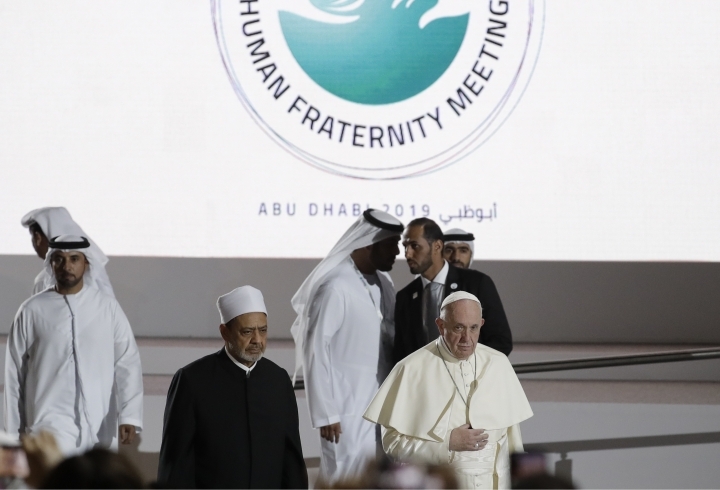 Speaking to a gathering of imams, muftis, ministers, rabbis, swamis, Zoroastrians and Sikhs, Francis said: "Human fraternity requires of us, as representatives of the world's religions, the duty to reject every nuance of approval from the word 'war.' Let us return it to its miserable crudeness." 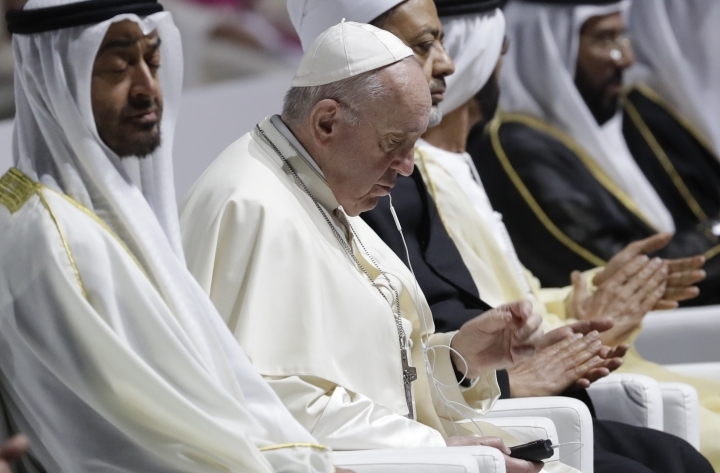 Pope Francis has called out the dangers of so-called "fake news" amid ongoing propaganda campaigns across Gulf Arab countries. 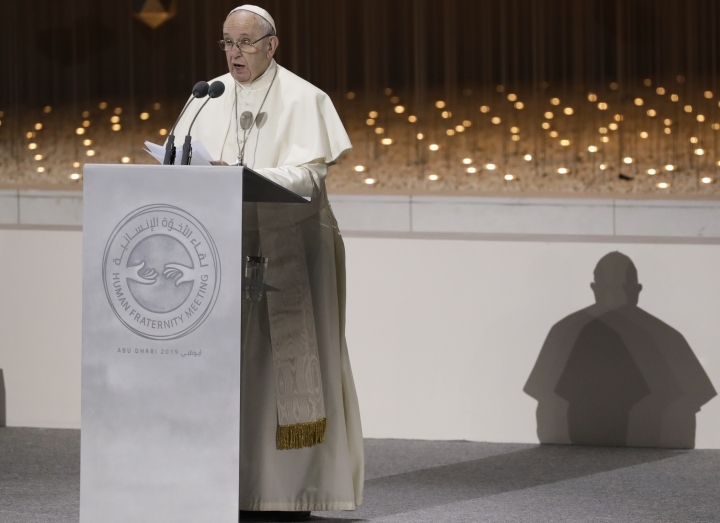 Francis made the comment in a speech Monday night, saying: "Young people, who are often surrounded by negative messages and fake news, need to learn not to surrender to the seductions of materialism, hatred and prejudice." 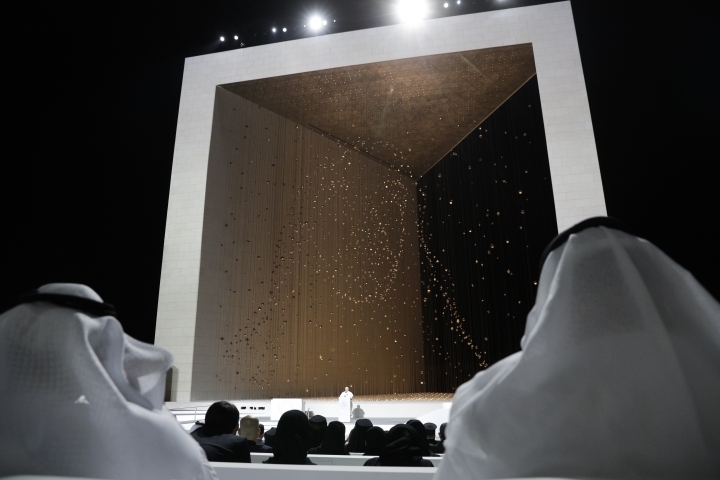 The crisis began after Qatar's state-run news agency was hacked and fake items were published.